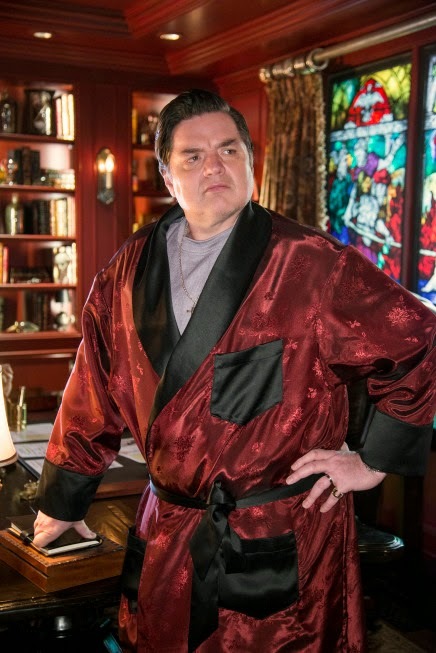 Oliver Platt has made a career out of playing bold and brash characters who don’t seem to shy away from the hard job or the caustic remark. But the Golden Globe nominated actor admitted during a recent conference call interview that he had a bit of trepidation before signing on to play the Supermarket King Stavros Milos on the small screen adaptation of Fargo. But after getting a look at Noah Hawley’s interpretation of the Cohen Brothers’ classic, he gladly signed on to the show. The dance between Malvo and Milos just one of the elements that makes Fargo a worthy spin-off of the Coen Brothers near-perfect feature film. Where the movie told a tight and twisty story with rich and ridiculous characters, the show kicks it up notch, after notch, after notch not just every week but every 15 minutes. It’s no wonder that the show is attracting audiences beyond devotees of the original film. Tune in to Fargo every Tuesday night at 10 p.m. EST/9 p.m. Central on FX.